Get ready, you’re about to be challenged on your perspective about disability. 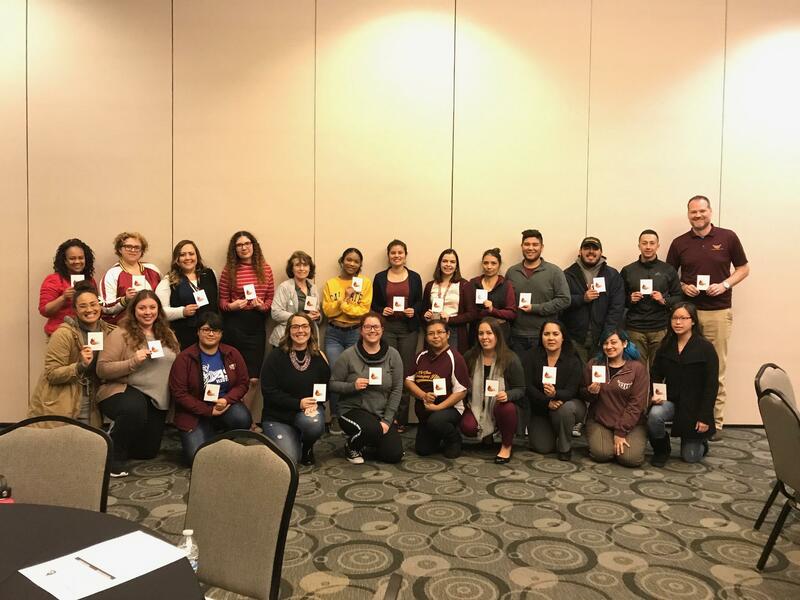 Earlier this month, the Student disAbility Resource Center presented its 3rd Ability Ally training, a three-hour training designed to challenge and educate students and faculty about disability. I was supposed to write an advance on the event for our online issue, but the director of the Student disAbility Resource Center, Adam Kasarda, invited me to attend the training specifically for supplemental instructors, or student tutors, four days prior to the March 5 campus-wide training. That training was fully booked, but after experiencing the earlier training sessions, I felt the information was too important to not share with everyone. Thirty minutes in and I was already learning so much. I wrote in my notes, “This is freaking insightful” because the training was educational, friendly, and interactive. The room felt like a safe space where we can reflect the times we discriminated someone with a disability. Even George Takei, a former “Star Trek” star and internet sensation, is culpable. As an example, Takei, known for his advocacy against racism and an LGBTQ+ ally, once created a meme (that he later apologized for) of a woman getting out of her wheelchair to reach for alcohol. Kasarda said that was a clear example of reinforcing negative stereotypes of people with disabilities, for some might interpret the meme as saying that people with disabilities are alcoholics or that the person in the wheelchair is faking their disability, when the truth is, there are different levels of disability just like there are different levels of blindness, Kasarda said. Throughout the training, led by Kasarda and Mace Fuataina Mikaele, an AIM/Disability Management Specialist, participants were given scenarios that allowed them to share personal experiences and ask questions without fear of being judged. One of my favorite activities involved building blocks. Each participant was given four yellow building blocks and two red ones. They were then told to build a duck in less than one minute and walk around to see if anyone had a similar duck to theirs. There were more than 30 people comparing their work and yet, no one had the same duck. Why is that? “This represents diversity in its purest form,” said Kasarda. You may have heard the saying, “Treat people how you want to be treated,” but Kasarda introduced a new saying: “Treat people how they want to be treated.” You can start with your use of language. Be clear and concise and don’t talk down to the person. The disAbility Resource Center is open for all students on campus. To learn more about what you can do to help, look out for future trainings and RSVP as soon as possible because it’s highly interactive, so seats are limited. You can request a training for your club or for your department, stop by the resource center for questions, or simply ask someone with a disability what you can do to help if they need it. SdRC is located in Welch Hall, D-180. You can reach them at (310) 243-3660 or dss@csudh.edu.